Desktop notification works with all major web browsers, such as Chrome, Firefox, Safari, Edge. 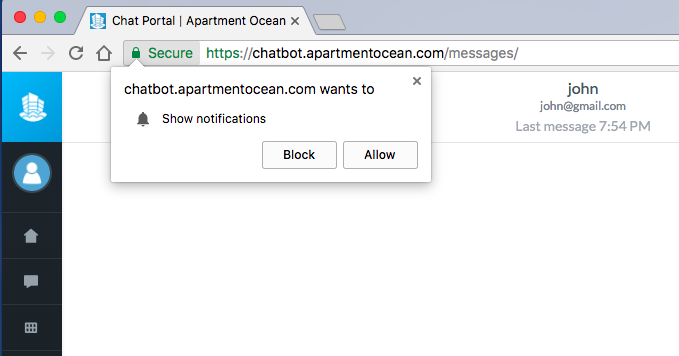 The browser will send you a desktop notification when the new messages come to you. When you visit the Message on dashboard for the first time, the web browser will ask you if you'd like to receive notification. If you'd like to see a desktop notification, please click the "Allow" button. If you happen to click the "Block" button, you can always change the setting. 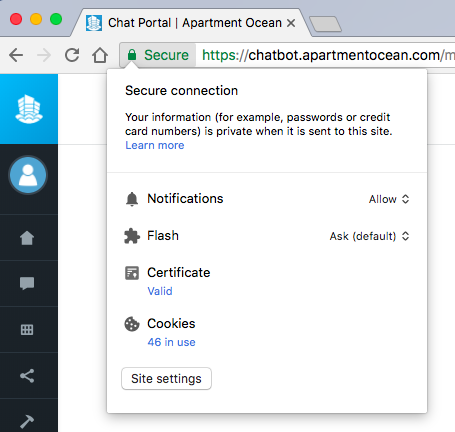 To change the notification setting, you just need to click the green "Secure" button on the left side of the web address. AO platform is designed to be a human + AI structure, so when you are on duty you will receive the notification, or we will not send you any notifications, the chatbot will handle the conversation with your customers. If you are off-duty, which means you are not on Message, then we won't send you any notifications. 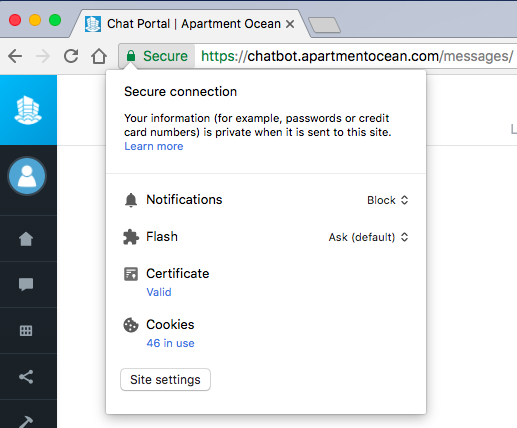 For example, you are still on dashboard but you are on the chatbot install page, then we won't send you any notification.